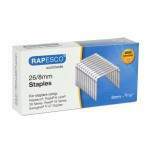 For optimum performance up to 50 sheets use 24/8mm hard wire staples. 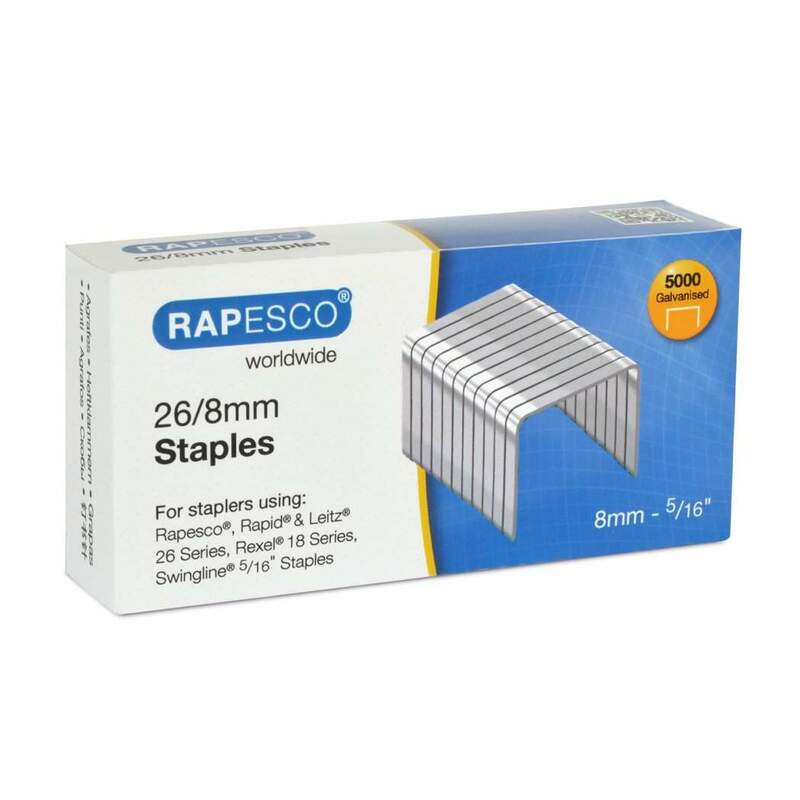 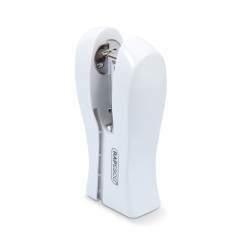 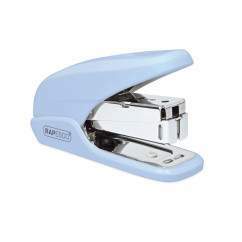 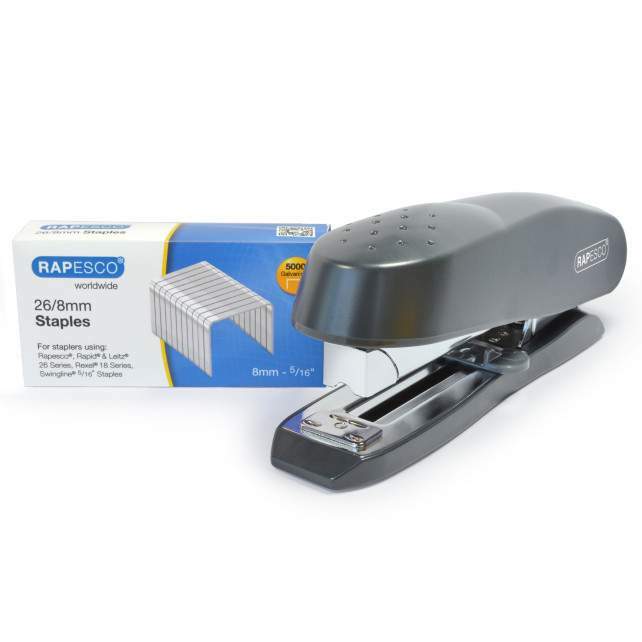 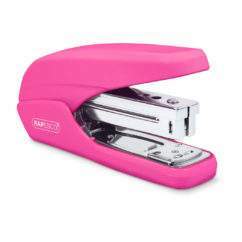 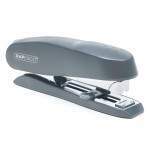 This stapling set from Rapesco includes the ECO Spinna office stapler and 5,000 26/8mm staples. 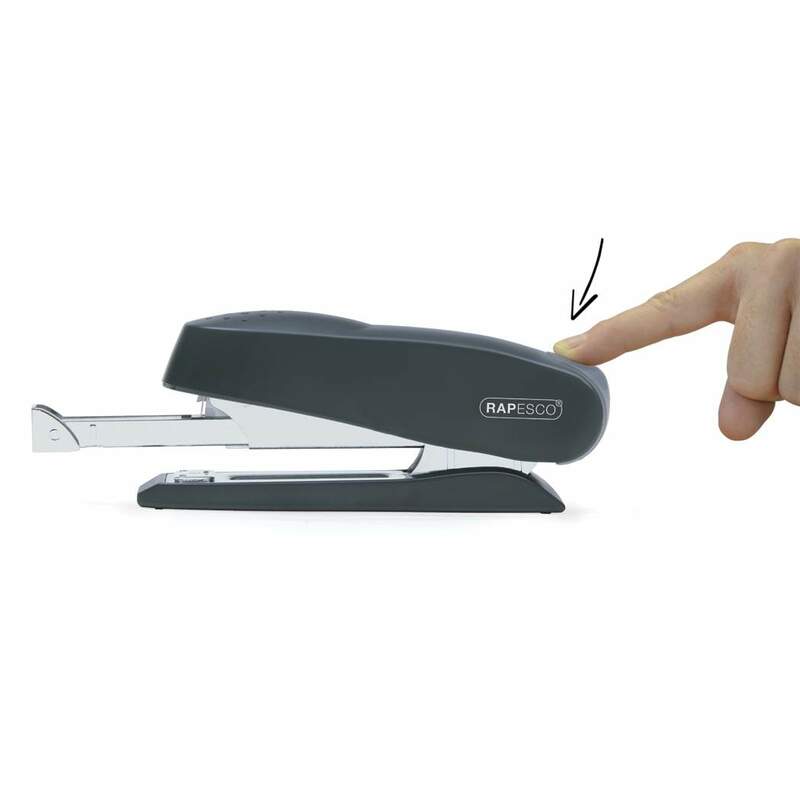 Made from a high level of recycled content, the Spinna office stapler features a front-loading magazine with a push-button release mechanism for easy reloading as well as an adjustable paper guide for neat and consistent stapling. 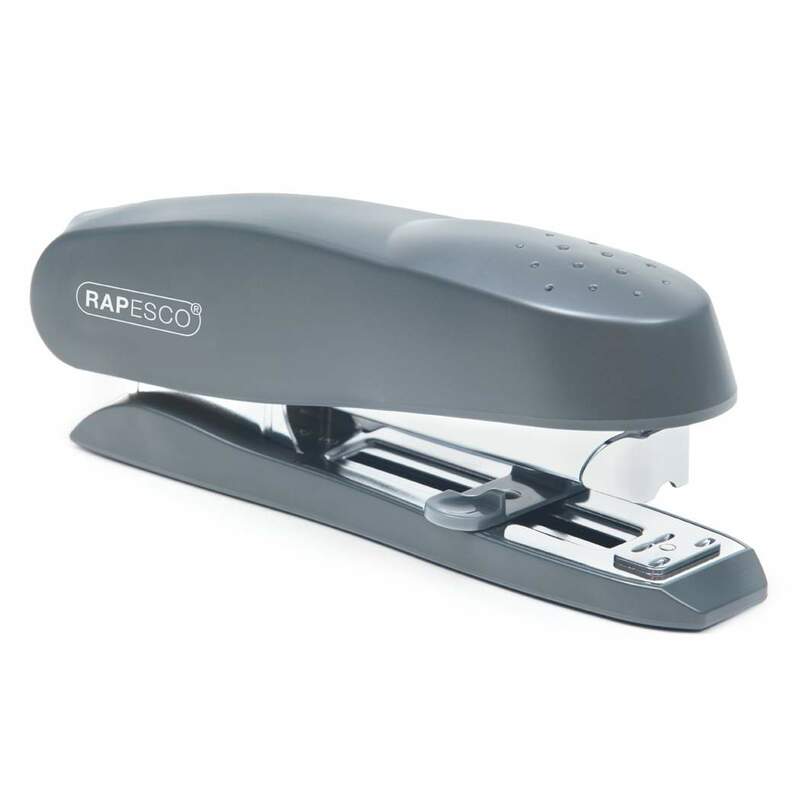 This stapler uses 26/6mm and 24/6mm staples (for stapling up to 20 sheets), and 26/8mm and 24/8mm staples (for stapling up to 50 sheets).